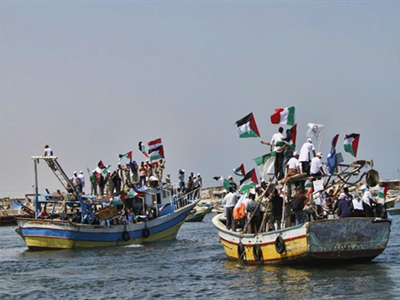 Turkish Prime Minister Recep Tayyip Erdogan has called “worthless” a report by an independent Israeli commission that concluded that the Israeli raid on the Free Gaza flotilla last May was fully lawful. 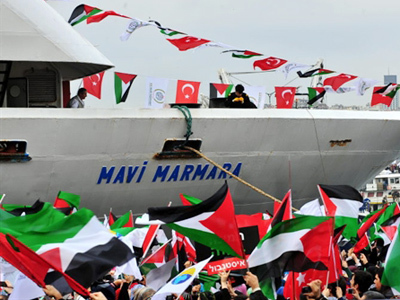 ­The top Turkish official has said that both the UN and Turkey are continuing their own investigation into the incident on the Mavi Marmara ship – the Turkish-flagged vessel of the Free Gaza flotilla. “The report was ordered. Did you think a report that was written in their country would have worth?” Erdogan told the media. The strong reaction followed the announcement of the results of the probe by the Israeli commission headed by Judge Jacob Turkel and named after him. The commission had been set up by the Israeli government, but is called independent as it is reporting directly to the state administration. The commission concluded that the actions of Israeli commandos that resulted in the death of nine Turkish citizens were in compliance with Israeli and International law. "Under the military circumstances and Israel's efforts to fulfill its humanitarian duties, the siege on Gaza is legal and according to international law. The actions taken by Israel on May 31, 2010 to enforce the siege had unfortunate results of lost lives and injured people. Despite a small number of unclear cases of use of force, we find Israel's actions as legal and according to international law," The Associated Press quoted Jakob Turkel as saying. The documents of the Turkel Commission will be used to form Israel’s submission to the United Nations commission investigating the incident. The Israeli Defense minister Ehud Barak has praised the findings of the report, saying that it proves that Israel is a law-abiding country. Prime Minister Benjamin Netanyahu also expressed satisfaction with the results of the probe and said that it proved the Israeli blockade of Gaza is legal. The relations between Turkey and Israel became greatly strained as a result of the incident. Turkey recalled its ambassador from Israel and Israel evacuated the families of its diplomatic staff from Turkey. The international reaction to the incident was generally not on the Israeli side – the United Nations Security Council and the organization’s Secretary General have denounced the attack and called upon Israel to lift the Gaza blockade. 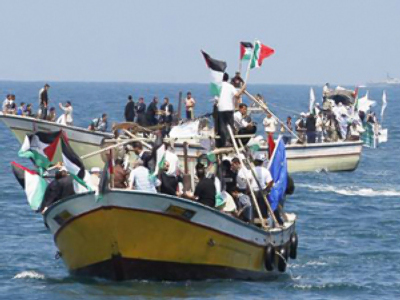 The Turkish Foreign Ministry issued a statement saying that both the flotilla attack and the Gaza blockade are against international law. “Israel’s so-called ‘maritime blockade’ against the Gaza Strip is devoid of legal basis and legitimacy,” the Turkish ministry’s statement reads. 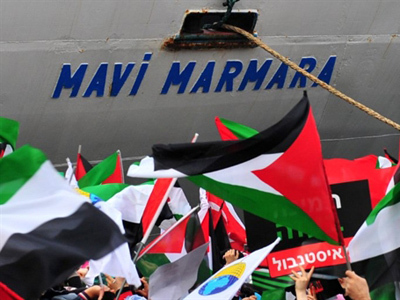 The ministry also quoted some conclusions reached by the Turkish commission investigating the Mavi Marmara boarding by commandos, reading that the Israeli forces violated not only military law, but also the common international law by attacking a peaceful ship in neutral waters. “Our Commission is surprised, appalled and dismayed that the national inquiry process in Israel has resulted in the exoneration of the Israeli armed forces despite all the facts that have also been confirmed by the International Fact-Finding Mission,” the Turkish ministry said in the statement.